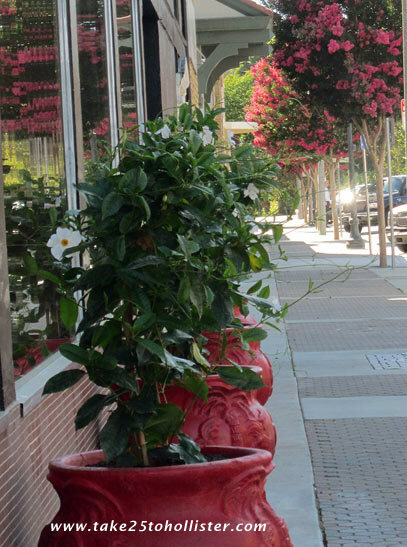 The Ding-a-Ling Cafe's new location is 696 Fourth Street. 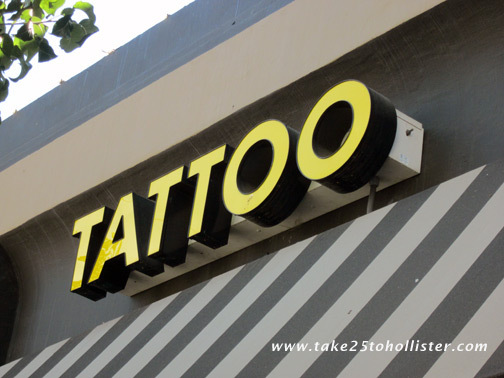 Have you been there yet since the owners moved from the airport a few months ago? For you pilots, the cafe's new location is about 2 and 1/2 miles from the airport. But, if you're not into walking, the Ding-a-Ling delivers. 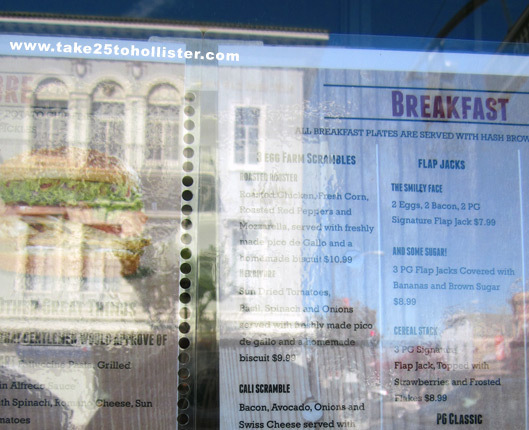 The cafe's phone number is (831) 637-1566. The other day, the Husband and I had breakfast for the first time in their new location. Food is as yummy as ever. Portions still happily large, too. I ate about half of my large quesadilla (eggs, bacon, and jalapenos) and ate the other half for lunch the next day. When I was a small kid in the 1960s, I remember the cafe being on Fourth, near or on the spot where the Cozy Cup is. According to Rosa, the owner, the Ding-a-Ling was once by the Michoacano Restaurant further out on Fourth and on San Felipe Road where the Chevron Station is. I think she also mentioned one or two more places. Goes to show, nothing stops the Ding-a-Ling Cafe. Thank goodness. 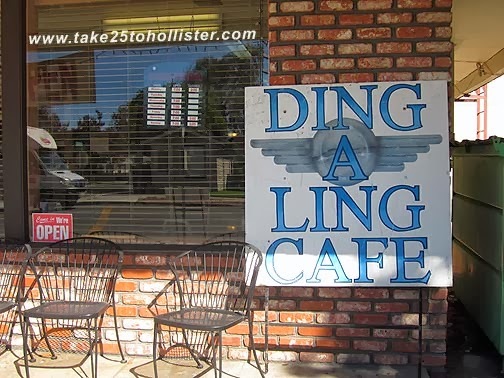 FYI: Here's a post that I wrote about the Ding-a-Ling Cafe in 2010. Scroll down to the comments to find out how the cafe maybe got its name. If you're gonna take photos from 5th & San Benito, you cannot go home without one of the beautiful brick building on the northeast corner. Right? Right! 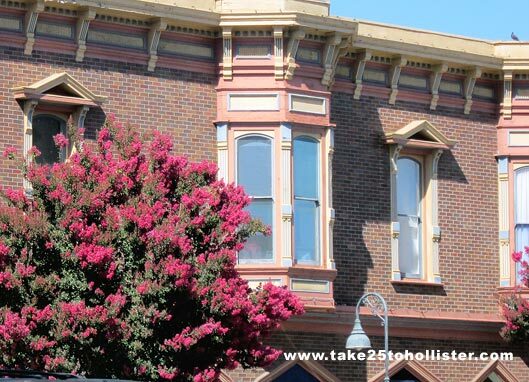 To learn more about the Victorian building that was constructed in the 1870s, click here. Click here if you want an answer to "Huh. 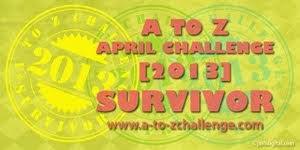 Series?" This is looking west on Fifth Street. We've got a very cute town, don't you think? Reflecting on what thou might eat at the Pendergrass Restaurant? Reflecting on what's behind thee? 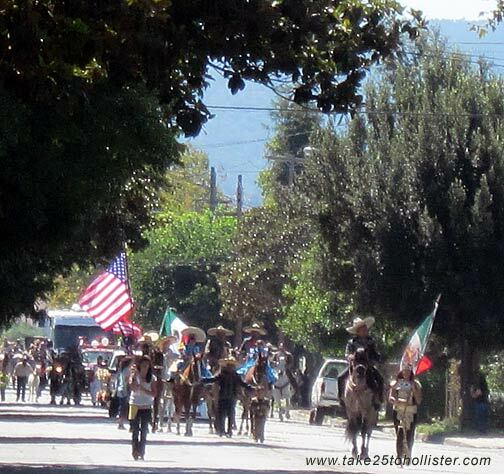 Yesterday by happen chance, I learned that the Mexican Independence Day was going to take place in historical Downtown Hollister, so I jumped on my bicycle and pedaled over. It was a beautiful day for a parade. Although a short parade, it was quite festive, watching the horsemen and horsewomen, the youngsters, dancers, musicians, and, politicans march their way down San Benito Street. 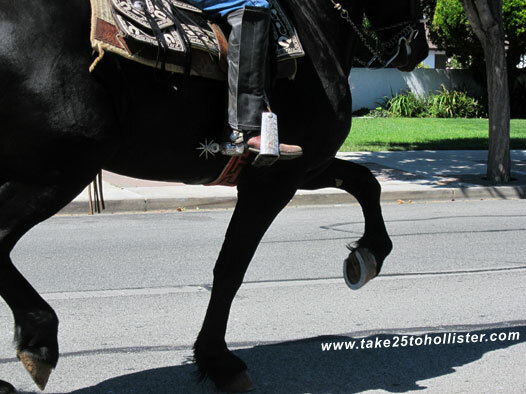 For more photos of the parade, head over to Take 25's album on Facebook. Today, September 16, is actually Mexican Independence Day. On September 16, 1810, Mexico declared itself free of Spain and hence began the Mexican War of Independence. For a summary of El Grito de Independencia, check out this Wikipedia article. 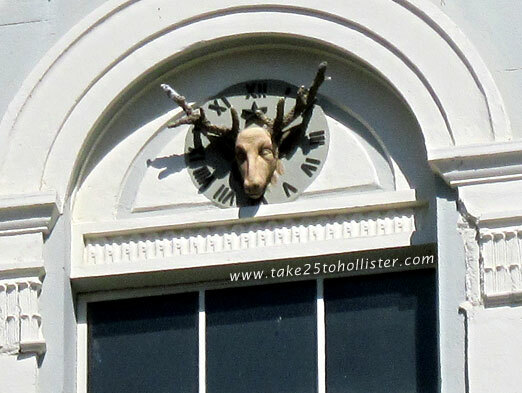 I never knew there was a clock at the top of the Elk's building at 5th & San Benito until 10 years ago when I looked at a photo I had taken. I should've looked up more often when I was a kid. Did the Elk's horns move like the hands on a clock? Anyone know. What a great way to teach a kid how to tell time. The right horn is on the 3 and the left horn is on the 7, so the time is . . . . I dunno. Put a big nose and mustache on this pole. What do you think: Groucho Marx? 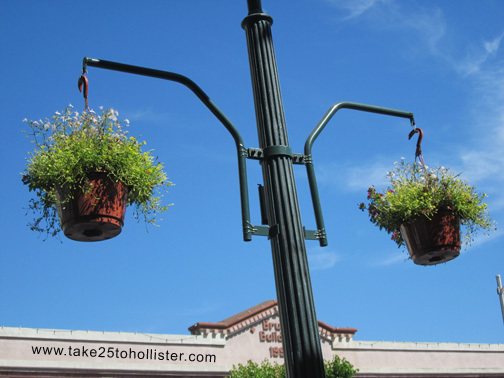 Many thanks to the Hollister Downtown Association for installing and maintaining the beautiful hanging plants in historical downtown Hollister. Lawyers! Many can't stand them. That is, until one is needed. 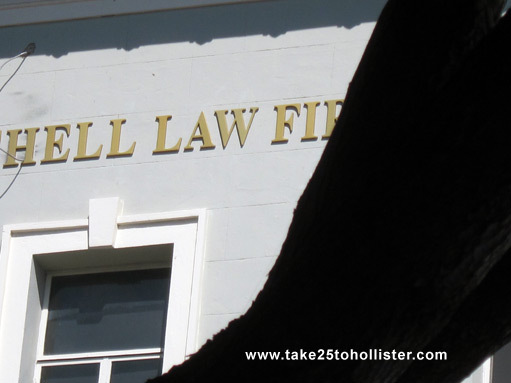 And, then, they hope they've found one 'ell of a lawyer. One afternoon the Husband and I were sitting on the bench at the southwest corner of 5th and San Benito, after waddling down the sidewalk from eating a couple of yummylicious burgers at Grillin & Chillin Downtown. That's quite a delightful corner to watch the world go by on a lovely afternoon. As usual, the little non obtrusive camera found its way out of my purse and into my hands to click away. Voila! 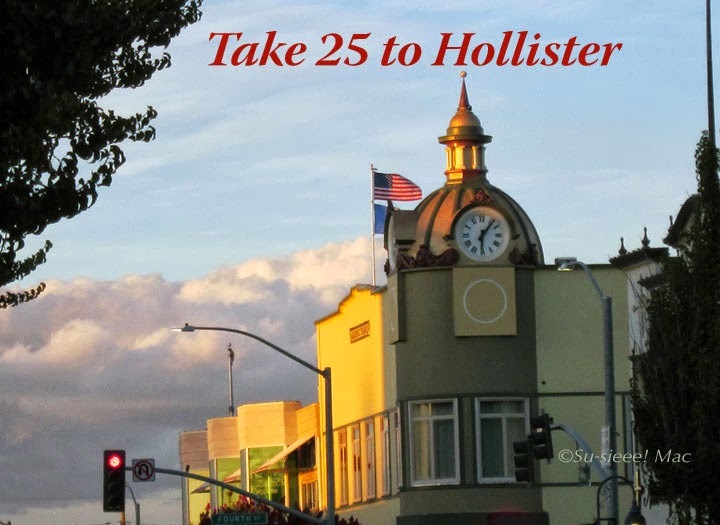 Without trying, I now have a series I shall call Hanging on the Corner of 5th and San Benito in Hysterical... okay, Historical...Downtown Hollister. Short title: The View from 5th & San Benito. Bet you didn't know the series started last Friday with this post? Me, neither. 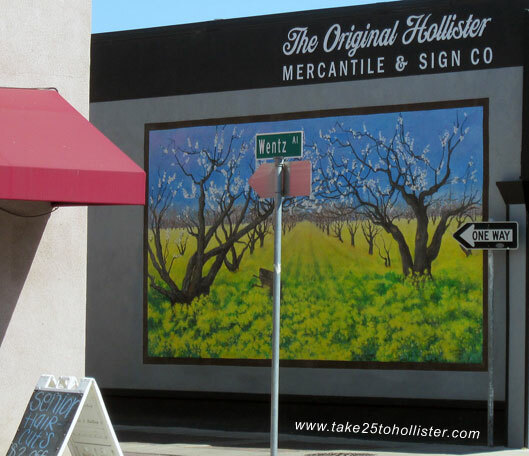 Who knows where this shop is in historical downtown Hollister? Who remembers what shop was there before it? (I don't know.) And, hmmm, who said, "The Plane, The Plane" and in what TV show?